MRY – Most agencies have zero drones; MRY has many drones. Thanks to all at MRY, Director/Co-Pilot,Randy Slavin and his crew for making this one of the most fun days I’ve had on set. This runs at the New York City Drone Film Festival. MRY is a big sponsor of the event. This was a fun opportunity to collaborate with an episodic television production. I was approached by the show’s producers to provide and operate a non-branded drone capable of lifting a small package and a safe location at which to fly at low altitudes with a small crew. 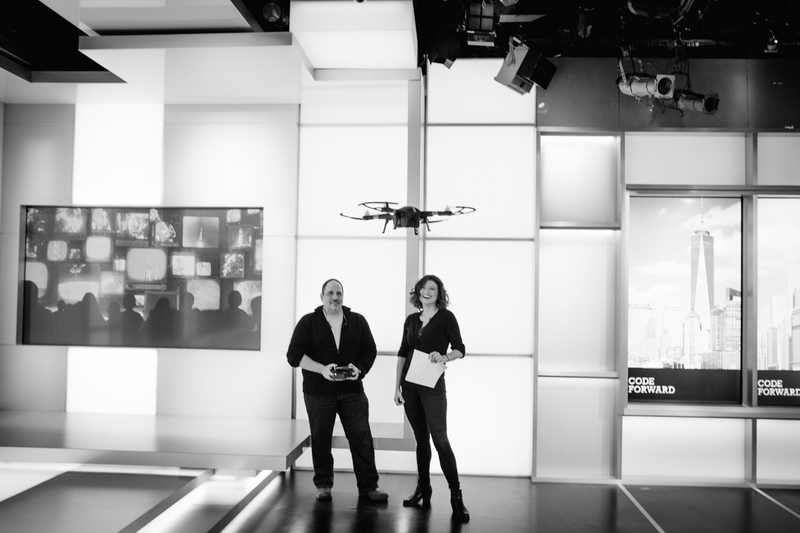 The video shot was used as a pseudo-promotional video for a startup drone company the modern-day Holmes and Watson were investigating. It was a lot of work, but I did get to rock the coveralls and safety helmet (that’s me in the center of the flatscreen) check out the production facility at Silvercup in Long Island City, and appear on screen with Lucy Liu and Jonny Lee Miller. Panasonic ToughPad – Balls of Fire, Piranha and a Hexacopter. This linked clip is the result of many days hard work by a dedicated and talented team of set designers. Being in an unconditioned warehouse space in Paterson NJ in July might not seem like a dream job but the ball sweat was well worth it. 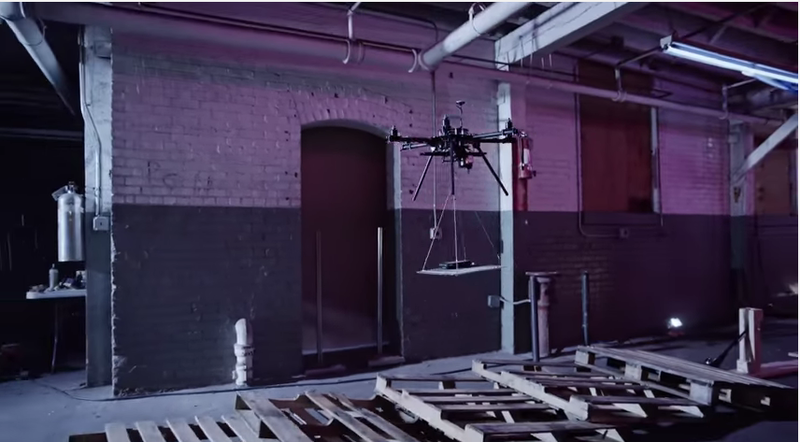 Jump to 1:14 if you’re truly drone-centric. Big thanks to Tim Stapleton at Sigma, Kim and Kai Lee at Worldsaway, and all the other talented and passionate people on set.